The rate of blindness and low-vision in Papua New Guinea is the highest in the Pacific. A national survey carried out in 2017 found an estimated 5.6 per cent of adults aged over 50 were blind, and two out of every three people with refractive error did not have the right glasses. The work continue steady. After one week on the Mercy ship in Africa, Dr. Kondrot is happy with the patients outcome. Before sending them home they are checked for one last post op check up and most of them also receive a yag laser session to clear out all scar tissue so they can have clear vision. We have one more week of work then we will head home right around Easter to celebrate with the family! 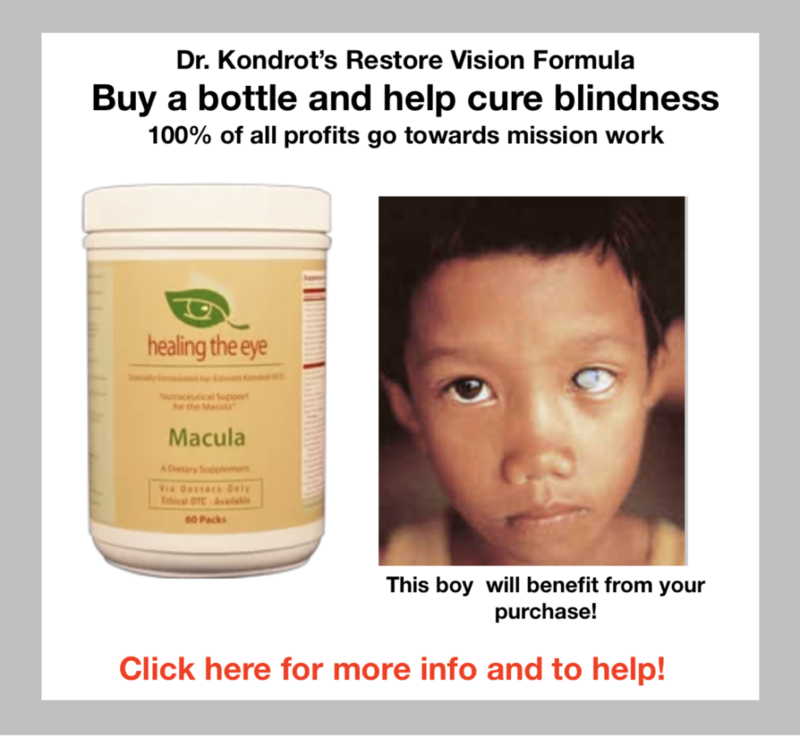 Happy for many blind patients regaining their sight and now have a new life again! Operating on the Mercy Ship! The Eye team is from all over the world. Sweden, Scotland, Canada, USA, and Guinea! Opthalmic Surgeon and OR nurse performing cataract surgery on patient. Opthalmic Surgery Team performing Cataract surgery on patient. 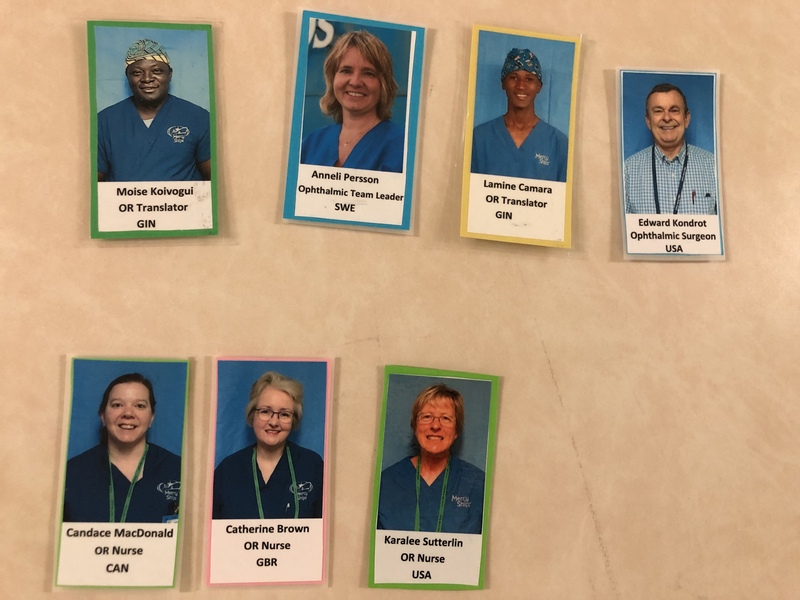 The Eye Surgical Team supporting Dr Kondrot gathers in the morning in the hallway in front of the operating room and prays together as a team for blessings for a successful surgical day. 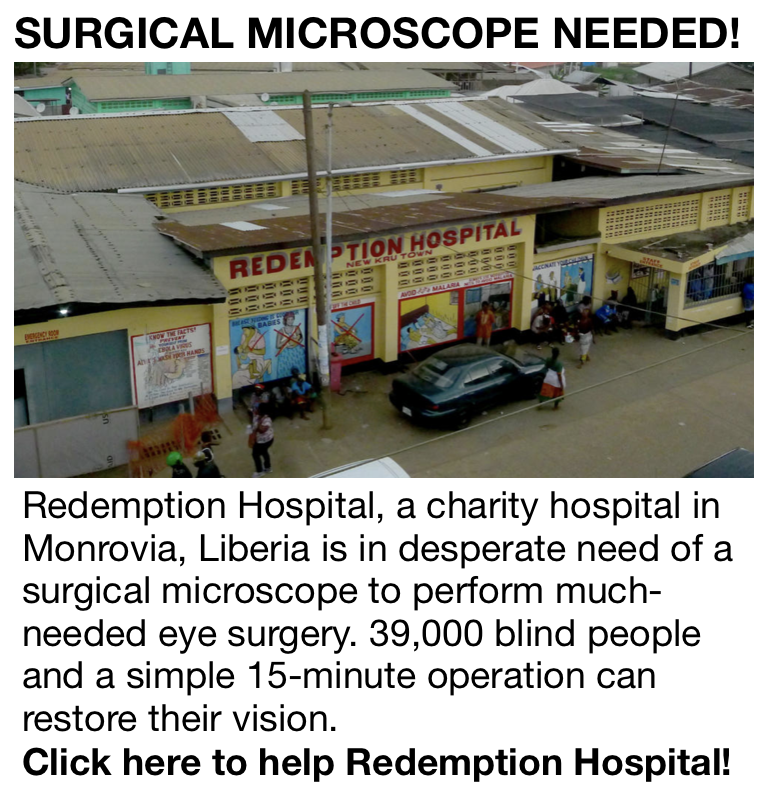 Praying for a good day for the surgeon to bring eye sight back to the poor blind who are coming for help. Praying that there is no complication in surgery. 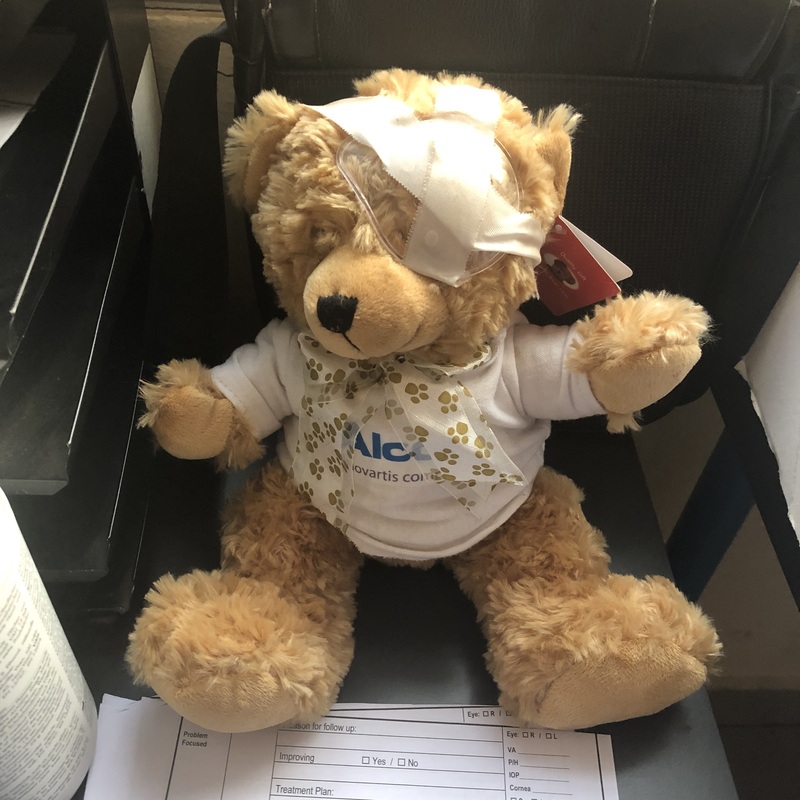 Praying for a good day for the hard working team who are on their feet all day to take care of the patients and make sure the instruments are sterilized, that the supplies are ready for the surgeries and that the patients are properly taken cared of. Praying for the patients who are coming in to have good result, to see again, to regain their independence and go back to their lives and be productive again to take care of themselves and their families. 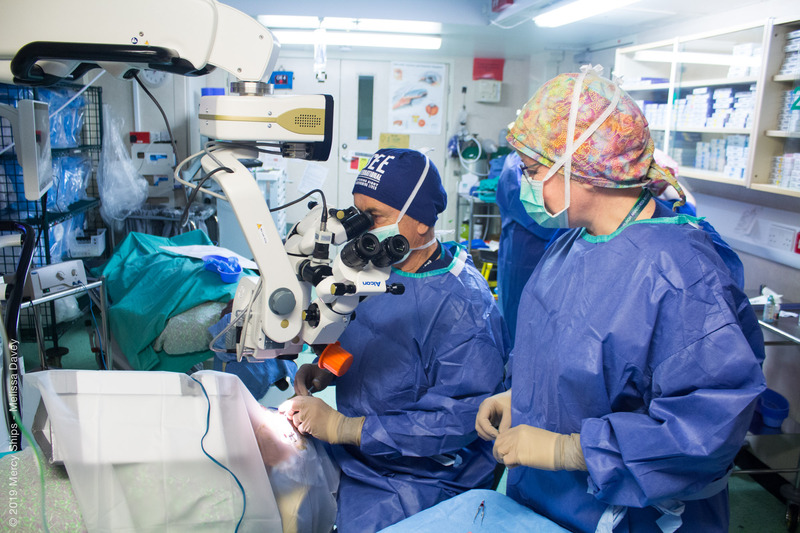 Here are some pictures of the daily life of an eye surgeon on the biggest hospital ship in the world. Surgery on an average day: 16 cases. Compliments today from the post op team : amazing results. We usually see this after one week post op. These patients gets such good results only one day post op! This makes Dr. Kondrot so happy! It has been an amazing experience for us. We look forward to sending more more pictures back soon. 🌈🌈🇬🇳👍👍 The day has started for us on the Mercy Ship Africa out of Conakry, Guinea. Here is a look at our breakfast. We are ready for our morning briefing. Then real work will begin! Dr Kondrot has arrived and is boarding the Africa Mercy Ship docked out of Conakry, Guinea. He will be the surgeon managing the ophthalmology OR until Easter Sunday. 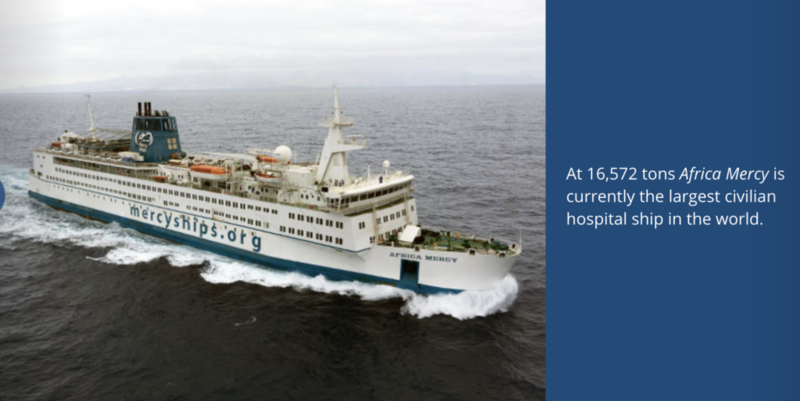 Our next mission is on a most remarkable hospital ship! 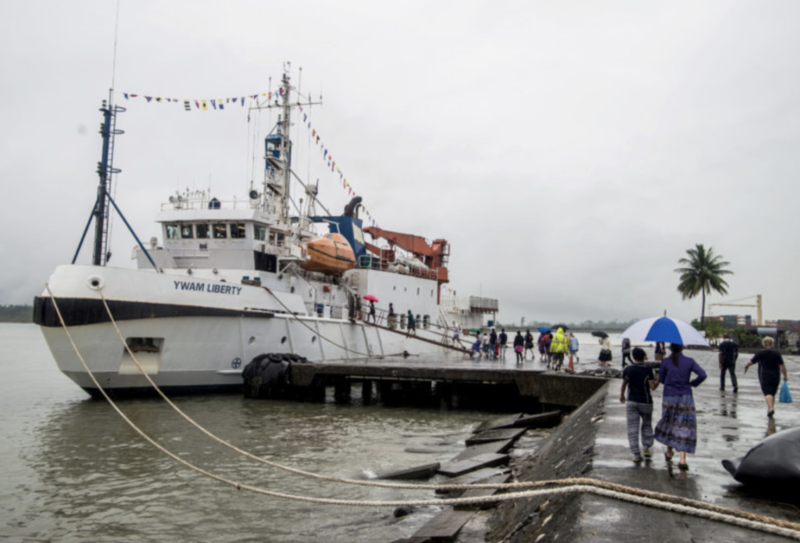 Volunteers from over 49 nations have served onboard the Africa Mercy, which was acquired in 1999 and refurbished specifically for the Mercy Ships mission. It is the largest non-governmental hospital ship in the world, effectively more than doubling the annual medical capacity of her predecessors. Jamaica Mission Trip. Blind in both eyes now reading the eye chart to the last line! 💥💥🌈🌈👍👍 🇯🇲Here is Miss Dawn, the last patient of the trip. We took out a hard dense catarock (they call those white cataract “catarock” in Jamaica). Dr Kondrot says on a scale of 1 to 10, this cataract is an 18 for density and size! It is huge! Right after her eye patch is taken off she says she sees everything so bright! Yes! We are happy for her. Of course she says the other eye, every thing is very dark! She still has another dense white cataract in there. She has light perception only the day before, now she reads the whole eye chart so fast all by herself! She makes the whole trip worth while for us. We are so happy for her. Next time we come back we can do the other eye for her! Hurray for Miss Dawn! We give back her eyesight and transform her life. We bring hope back to many patients on this trip. To see again is to be free again to live a better life for many Jamaicans! They have waited so long for an eye doctor to come help them! Follow us as we report to you from Jamaica. 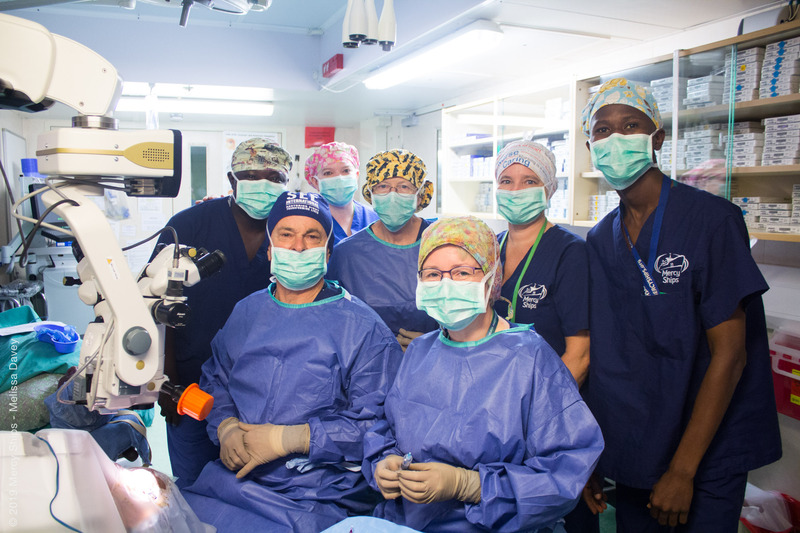 The last surgery case of the eye surgical mission trip to Jamaica. 💥💥🌈🌈👍👍 🇯🇲 Jamaica Mission Trip. 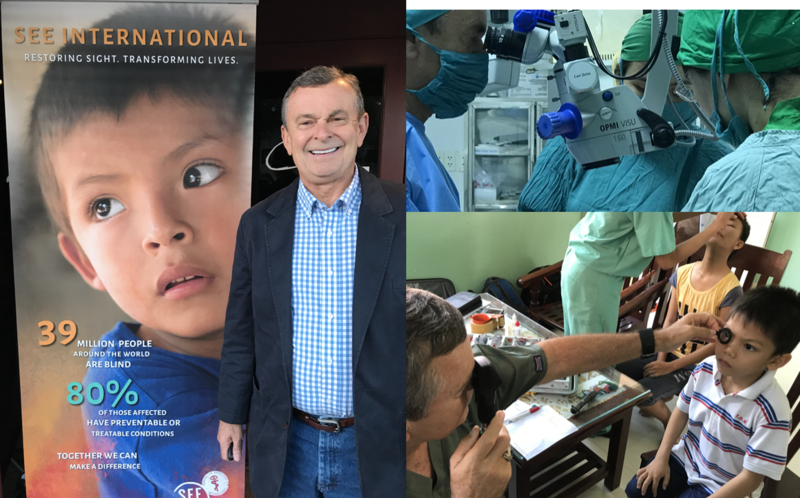 The last surgery case of the eye surgical mission trip to Jamaica. We completely ran out of supplies. We gather just enough for one last case because this last patient we accepted at the very last minute is a very worthwhile effort for the team. Miss Dawn is diabetic, both of her legs have been amputated. Now she’s blind in both eyes by hard dense white catarocks like we call them in Jamaica. If we can give her eyesight in at least one eye, it would make a world of difference to her already very hard life. She can take care of herself better, and be a bit less dependent of others if only she can see. We just want to help lighten up her hardship. We often forget how easy we have it with our lives. We can see. We can drive. We are independent. Miss Dawn brings everything into perspective for us as we watch her waiting her turn in the hallway outside the operating room. Here we are trying to get her up onto the operating table for our very last case of the trip. We have to turn away so many people because we have completely used up everything we brought with us.